Waitakere College is providing 22 students with an insight into what it takes to become an engineer. 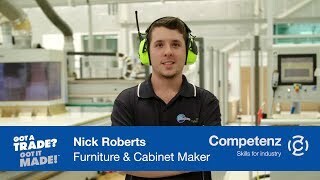 Located in the West Auckland suburb of Henderson, the co-ed school is connecting students with industry as part of the Trades Academy programme – a partnership between Industry Training Organisations (ITOs), employers and secondary schools, which integrates classroom study and workplace training. Following on from Gateway – a trades taster of sorts that includes structured work experience and credits towards NCEA Level 1 – Trades Academy provides Year 12 students with industry placement one day a week, as well as credits towards both NCEA Level 2 and national certificates. Having gained a good industry overview under Gateway, students at Waitakere College enter Trades Academy with an understanding of which strand of engineering they want to pursue. And, the school supports them by brokering industry placements and extended teaching hours to develop literacy and numeracy skills within an engineering context. Competenz Careers Advisor, Brian Lane, applauds the school for building a strong engineering department and being so passionate in support of its students. It also has two female engineering teachers on staff, as well as a woman at the helm of the department. While now retired, the former Head of Department, John Kidd also remains active in Trades Academy, using his vast experience to organise industry placements for students at companies such as Fulton Hogan, Global Engineering and Mulchay Engineering.